Strategically positioned in the heart of Singapore's Colonial District, financial hub and shopping belt, Carlton Hotel Singapore puts the city's best right at your front door including public transport, shopping, dining and popular tourist attractions. The hotel offers deluxe accommodation and a fantastic range of onsite facilities within minutes of the Marina Bay Sands, Singapore National Museum, National Orchid Garden, Orchard Road, Raffles Place and much more. Centrally located in Marina Bay's vibrant shopping, entertainment, business and historical precinct, Conrad Centennial Singapore offers luxury 5 star accommodation with all the modern comforts and a fantastic range of onsite facilities. Conveniently close to public transport options, the hotel is just minutes from popular attractions including the Singapore Flyer observation wheel, Suntec City, CityLink Mall and Millennia Walk. 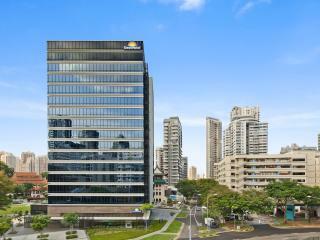 Days Hotel by Wyndham Singapore At Zhongshan Park provides great value accommodation. Providing a complimentary shuttle service to the Orchard Road shopping district and Novena MRT, DDays Hotel by Wyndham Singapore At Zhongshan Park is an accommodation retreat all within a close proximity to the city’s conveniences. Located at the crossroads of Singapore's shopping and entertainment hubs and the CBD, Fairmont Singapore offers 4.5 star accommodation with traditional style yet all the modern comforts. The hotel offers convenient accommodation and onsite facilities directly above City Hall and within walking distance of the National Orchid Garden, Raffles City, Chinatown Heritage Centre and the Civilian War Memorial. If you're looking for a 4 star Singapore hotel that is only a stone's throw away from the bustling Chinatown, then Furama City Centre, Singapore is a fantastic accommodation choice. Offering easy access to the Chinatown MRT and Clarke Quay you'll have a great base to discover this vibrant city and learn about Singapore's rich culture and intriguing history, whilst enjoying the comforts of home. 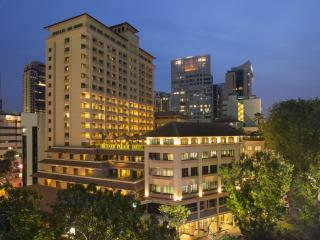 Situated on the outskirts of the CBD, Furama RiverFront offers 4 star accommodation by the beautiful Singapore River. Conveniently located between the excitement of Chinatown and the fantastic shopping on Orchard Road, the hotel offers a great range of accommodation and onsite facilities within minutes of major attractions including Great World Mall, Chinatown Heritage Centre, the National Orchid Garden and Universal Studios Singapore. 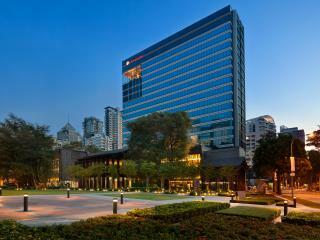 Grand Park City Hall is contemporary Singapore accommodation encased in a heritage architectural building and surrounded by beautiful gardens, just five minutes drive from the CBD. With a modern European restaurant and bar and a swimming pool, Grand Park City Hall is the ideal destination for those wanting to explore the city of Singapore and its many shops and historical sights. 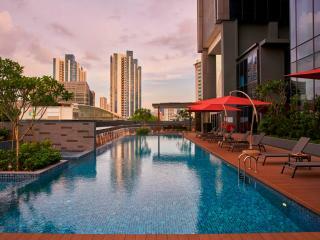 This Singapore accommodation boast an ideal location on Orchard Road. 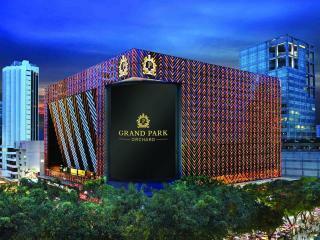 Grand Park Orchard is a boutique style hotel that boasts 308 rooms and is in a fantastic location for those who want to explore, shop and enjoy great entertainment. 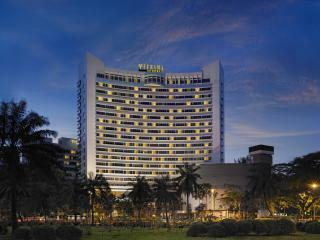 Leading International brands are right at your fingertips within walking distance of this Singapore hotel. While staying at Grand Park Orchard enjoy the outdoor swimming pool, free WiFi Internet and first class facilities that you would expect from Park Hotels. Located on Orchard Road's famous shopping and entertainment hub, Hilton Singapore offers 4.5 star accommodation surrounded by popular tourist attractions. Home to a convenient range of onsite facilities, the hotel is just minutes from attractions including ION Orchard, Orchard Tower, Takashimaya Shopping Centre, Royal Thai Embassy, Haji Lane and the Chinatown Heritage Centre. Situated in the heart of the CBD, Ibis Singapore on Bencoolen offers convenient accommodation surrounded by public transport and a great range of shopping and dining options. The hotel enjoys comfortable accommodation and a great range of onsite facilities and is within walking distance of tourist attractions such as Chinatown Heritage Centre, Orchard Road, National Orchid Garden, City Hall, Kwan Im Thong Hood Cho Temple, Little India, the Mustafa Centre and Bugis. Located adjacent to the Bugis Junction shopping complex, the InterContinental Singapore offers 5 star shophouse-style accommodation combining Chinese artwork with Malaysian design to preserve the Peranakan artistry. Home to a great range of accommodation and onsite facilities, the hotel is close to shopping, dining and attractions including Orchard Road, Marina Bay, the CBD, National Orchid Garden, Bras Basah Complex, Chinatown Heritage Centre and the National Library. 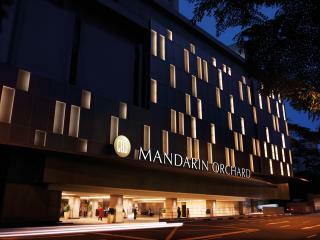 Situated in Orchard Road's renowned shopping district, Mandarin Orchard Singapore offers deluxe accommodation surrounded by nightlife, entertainment, public transport and a number of popular attractions including Haji Lane, the National Orchid Garden, Takashimaya Shopping Centre and Paragon Shopping Centre. The hotel also boasts an excellent range of onsite facilities including a fitness centre, outdoor swimming pool, gallery and a number of dining options. Located within walking distance of Marina Square, Milliania Walk, CityLink Mall and Suntec Singapore, Marina Mandarin boasts luxurious 5 star accommodation right in the heart of the CBD. Enjoying direct access to the Marina Square shopping mall, the hotel features an excellent range of onsite facilities including a 24-hour fitness centre, 25m mineral water pool, day spa and 21-storey atrium as well as a great range of bars and restaurants. Located in a picturesque position overlooking Clarke Quay on the banks of the Singapore River, Novotel Singapore Clarke Quay offers 4 star accommodation within walking distance of public transport, the CBD and shopping hot spots such as Orchard Road. The hotel is also home to a great range of onsite facilities and is just minutes from Suntec City, the National Orchid Garden, Liang Court, Haji Lane and Clarke Quay Mall. 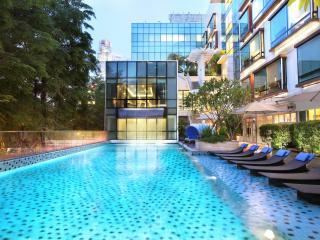 Located on the famous Orchard Road, the aptly named Orchard Hotel Singapore offers deluxe 4.5 star accommodation right in the heart of the city's best shopping and entertainment. In close proximity to public transport, the attractions and adventure of the whole city is just minutes away however there are a great range of attractions conveniently close as well including Haji Lane, the Chinatown Heritage Centre, Tanglin Shopping Centre and Orchard Tower. Located just 30 minutes from the International Airport and at the start of the shoppers paradise Orchard Road, is the 388 room Orchard Rendezvous Hotel. This affordable Singapore accommodation offers something for everyone, from business travellers and couples as well as families with a great selection of room types to choose from. On site facilities including restaurants and bars, gym, outdoor swimming pool, parking and free WiFi Internet. Centrally located to the city's business, entertainment, shopping and cultural districts, Pan Pacific Singapore offers 5 star accommodation and an excellent range of onsite facilities. Part of the Marina Centre, the hotel is connected to Suntec City, Marina Square and the Millenia Walk Shopping Mall by a sky-bridge. The hotel is also close to a number of popular attractions including Marina Square, the Marina Bay Sands, Singapore Flyer, Gardens by the Bay, Singapore River and Clarke Quay. Park Hotel Alexandra is centrally located and offers an array of fantastic hotel facilities such as free WiFi, restaurant, pool bar, coffee shop and Club Lounge. This Singapore accommodation features Superior and Deluxe rooms with contemporary, sleek design and in-room amenities such as cable television, free WiFi and air conditioning. Just half an hour from Changi airport and within a short drive from major shopping and business areas, Park Hotel Alexandra is the ideal choice for your next Singapore holiday or stopover. 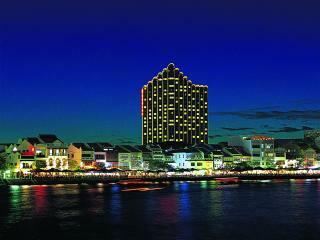 Located close to the Singapore River, Park Hotel Clarke Quay offers elegant and comfortable accommodation. 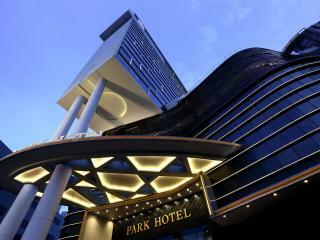 Park Hotel Clarke Quay is surrounded with bustling nightlife, restaurants, clubs and bars and features a complimentary shuttle service connecting guests to the shopping hot spots of Orchard Road and Marina Bay, MRT Stations and the Suntec Convention Centre. 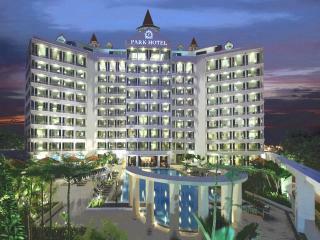 After a busy day of sightseeing, Park Hotel Clarke Quay offers a relaxing outdoor swimming pool and poolside bar & grill. This modern Singapore accommodation is ideally located above the Farrer Park MRT station which provides great access to the CBD, attractions & city area. Within a 5 minute walk of Park Hotel Farrer Park there is the Mustafa Centre & City Square mall & is surrounded by Little India & Jalan Besar. With over 300 contemporary rooms to choose from, Park Hotel Farrer Park has something for everyone catering to the needs of the business traveller as well as couples & families. Guests can enjoy access to the on site lap pool, restaurant & bar, gym, WiFi Internet & much more. Surrounded by Singapore icons such as Clarke Quay, Chinatown and Boat Quay, Park Regis Singapore offers 4 star accommodation within walking distance to public transport options. Putting the city at your doorstep, the hotel enjoys an excellent range of onsite facilities and is just minutes from a range of popular attractions including the shopping hub of Orchard Road, Clarke Quay Mall, the People's Park Centre, Marina Bay Sands and Universal Studios Singapore. Conveniently located at the centre of the city's public transport system, Peninsula Excelsior Hotel offers family-friendly accommodation surrounded by a fantastic range of entertainment, shopping and dining options. Offering comfortable, modern accommodation and a convenient range of onsite facilities, the hotel is just minutes from the National Orchid Garden, Peninsula Plaza, Armenian Church of St Gregory and Haji Lane and just a short drive to Resorts World Sentosa Casino and Universal Studios Singapore. Voted the best mid range hotel by travel professionals, Ramada by Wyndham Singapore At Zhongshan Parkk offers comfortable and affordable accommodation. With only a short drive to the central business district, discovering Singapore is made easier with a complimentary shuttle service to Novena MRT Station (Mass Rapid Transit System) and T Galleria offered by Ramada by Wyndham Singapore At Zhongshan Park. Situated in the heart of Singapore's central business district and shopping hub, Regent Singapore - A Four Seasons Hotel is proudly a 'green' hotel implementing award-winning recycling and sustainability practices. Offering luxury 5 star accommodation within minutes of the Orchard Road shopping precinct, Tanglin Shopping Centre, Orchard Tower, the Chinatown Heritage Centre and Haji Lane, the hotel is also home to an excellent range of onsite facilities including a state-of-the-art wellness facility. Located at the crossroads of the cultural, commercial and civic hub of the city, Rendezvous Hotel Singapore offers 4 star accommodation that brings together elements of old world charm with the style and sophistication of a modern hotel. Enjoying easy access to public transport, the hotel is within walking distance of Raffles City and the Orchard Road shopping meccas as well as tourist attractions such as Fort Canning Park, Singapore Art Museum, National Orchid Garden, Chinatown, Arab Street and Little India. Offering deluxe, contemporary accommodation in the heart of Singapore's shopping district, Royal Plaza on Scotts offers a great range of onsite facilities surrounded by a popular range of activities and attractions. The hotel is just minutes from Haji Lane, Far East Plaza and the Chinatown Heritage Centre and is within walking distance of shopping hot spots such as Ngee Ann City (Takashimaya), DFS Galleria and ION Orchard. Conveniently located close to public transport and popular tourist attractions, Shangri-La Hotel Singapore offers luxurious 5 star accommodation surrounded by 15 acres of lush landscaped gardens. Within walking distance of the famous shopping and entertainment district of Orchard Road, the hotel is also just minutes from the Tanglin Shopping Centre, Far East Plaza, DFS Galleria and National Orchid Garden. Home to an outstanding range of onsite facilities, the hotel is renowned for its hospitality. Conveniently located in the heart of Singapore, Studio M Hotel offers stylish Italian-designed accommodation in Singapore's first loft-style hotel. Offering 9 floors of duplex-style accommodation and an excellent range of onsite facilities, the hotel is just footsteps from the Robertson Quay entertainment and dining precinct and Robertson Walk and is just minutes from popular attractions such as Haji Lane, Chinatown Heritage Centre and the National Orchid Gardens. Strategically located opposite Clarke Quay on the banks of the Singapore River, Swissotel Merchant Court benefits from stunning city and river views and offers easy access to a range of shopping, dining and attractions with an MRT underground railway station conveniently located right on your doorstep. Within minutes of shopping, dining and entertainment, the hotel offers easy access to Boat Quay, Haji Lane, Raffles Place and Universal Studios Singapore. 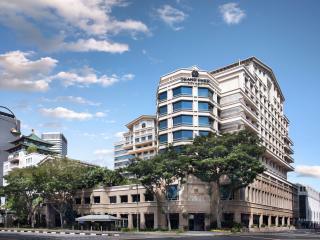 Conveniently located within minutes of popular attractions such as the War Memorial Park and National Orchid Garden, Swissotel The Stamford, Singapore offers deluxe 5 star accommodation at the crossroads of the shopping, cultural and business districts. Offering stunning views of Singapore Harbour and the city, the hotel enjoys a great range of onsite facilities and offers easy access to the Chinatown Heritage Centre and Raffles City. One of the most awarded hotels in Singapore, The Ritz-Carlton Millenia Singapore offers a huge choice of spacious, 5 star accommodation within minutes of some of the city's most popular attractions. Enjoying a great range of onsite facilities and the exclusive Club Lounge level of service, the hotel enjoys easy access to the Singapore Flyer, Marina Bay, ArtScience Museum and unprecedented access to more than 2,000 shopping and dining options via a covered skybridge. Located just 20 minutes from the Changi Airport in the heart of Singapore City, V Hotel Lavender offers comfortable and convenient accommodation situated directly above an MRT underground railway station. Putting everything at your doorstep, the hotel is close to the Malay Heritage Centre, Golden Mile Complex, City Square Mall, Orchard Road, Haji Lane, Jalan Besar Stadium, Mustafa Centre and the Singapore Indoor Stadium. Beautifully restored with polished historic charm, Villa Samadhi Singapore offers elegant boutique accommodation for couples wanting to escape the city rush. Nestled within Labrador Nature Reserve in southern Singapore, Villa Samadhi's facilities include complimentary WiFi, an on-site restaurant, library as well as room service. 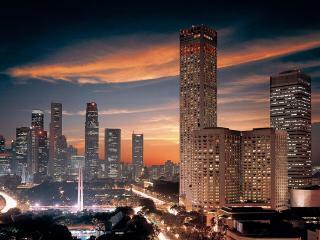 Popular sightseeing is not far away, with Singapore's CBD only a 10 minute drive. 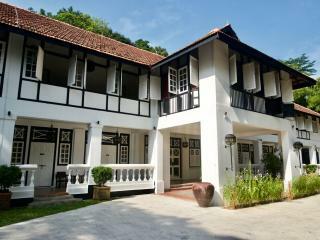 There is a wide range of Singapore accommodation available in both the city centre and on beautiful Sentosa Island. Ranging from family friendly hotels to luxury resorts and even boutique accommodation, there is plenty to choose from to suit your budget and interests. With each offering a convenient onsite facilities, the region's attractions, dining and shopping are right on your doorstep thanks to easy access to public transport.